Some raqis recite Qur'an every day on water tanks situated on the roofs of a house, on cosmetic items of women and on food. As a matter of fact, reciting of certain Qur'an verses and blowing thrice into a bottle of water or oil, after opening them, is allowed. 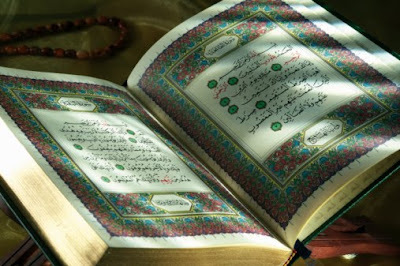 However, some of the raqis have distorted this practice by reciting Qur'an on everything. A scholar had remarked, ‘this practice is baseless and this method of ruqyah is useful only if the amount of water is little, for e.g: a pot of water in which verses are recited and air is blown into it. It is unauthorized to perform such ruqyahs to make money by deceiving people in a way that apparently seems to be beneficial but implicitly is dark and evil.’ Al-Fatawa al-dhahabiyya.